Nothing says holiday like mistletoe. The green, the tradition, the kissing… it is all so merry! 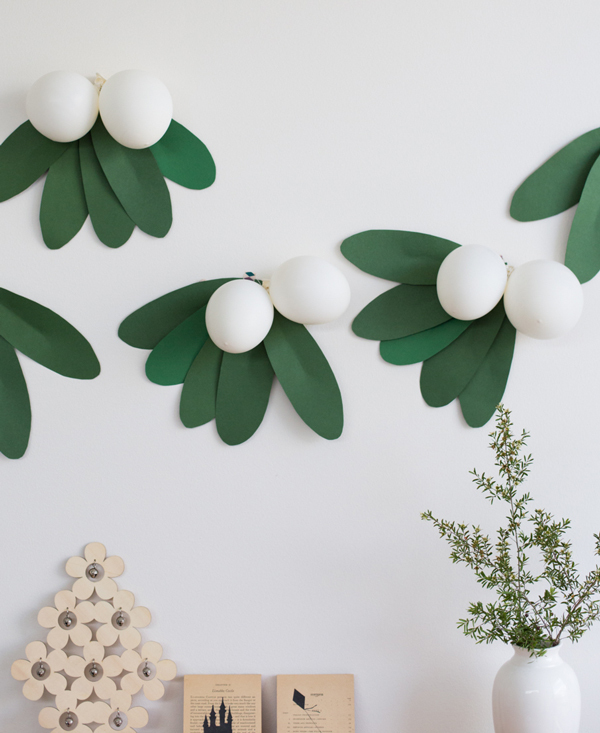 Make a mistletoe statement this year that has all the traditional fun with a festive modern spark with mistletoe balloons. 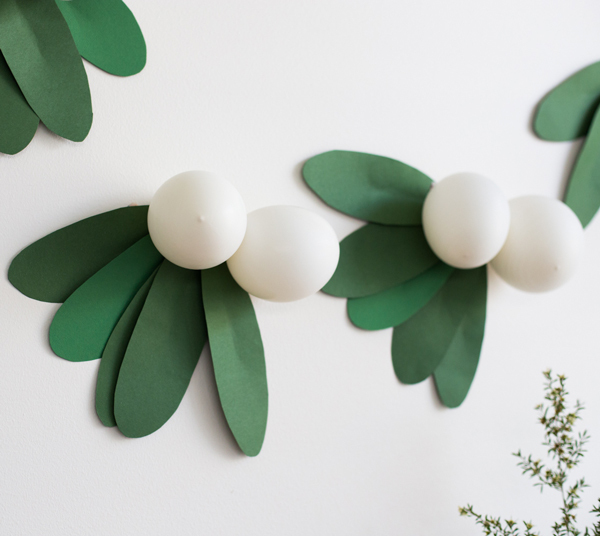 Make a mistletoe trail up a wall to fill it with festive spirit and give everyone lots of chances for smooching throughout the night. 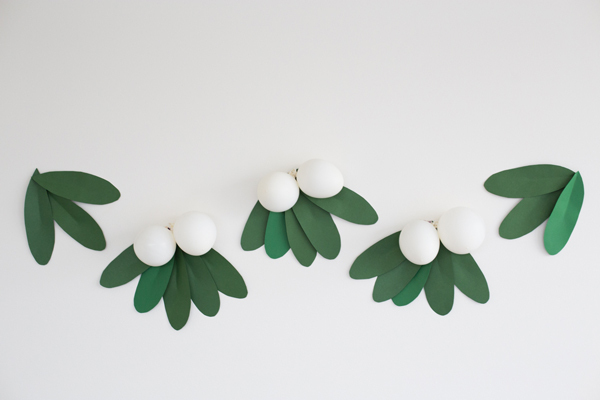 To make the mistletoe garland: cut the mistletoe leaf shapes from green paper, one color or a mix of different greens both work well. This can be done quickly by folding the paper in half twice into a concertina, and cutting through all four layers at once. The leaf shape should come to a point at one end, and stay curved at the other. You will need five leaves per mistletoe, plus a few extra. Fold each leaf in half starting at the pointed end, and fold about half way up the leaf – this gives the leaf some body and shape. You can blow up all of the balloons at once. These only need to be blown up very slightly to give them a rounded berry shape, and tied in a knot. One small puff should do it! Use a needle and thread to string five leaves together, threading through the pointed end. Take the loose ends of thread, and tie them around the knotted end of your balloons to fix them in place in front of the leaves. Make sure to double knot to keep them secure. 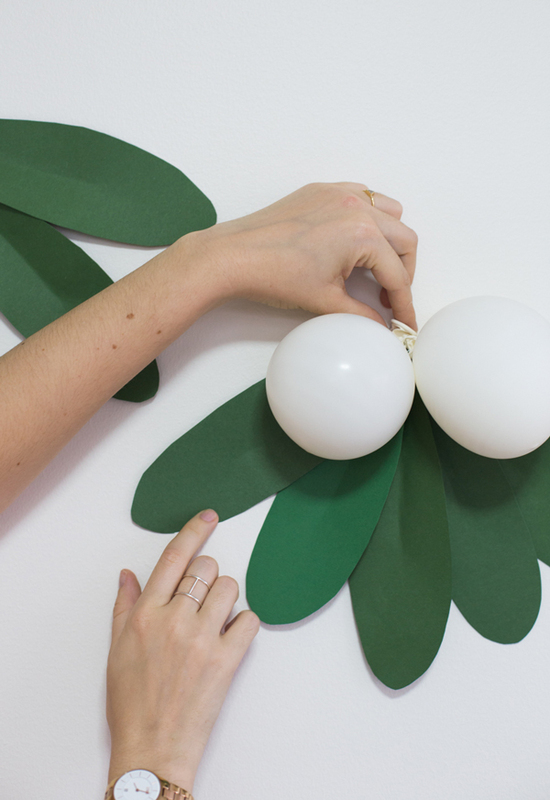 Attach the mistletoe to your wall using wall-safe glue dots or tape, fanning out the leaves as you go to create the shape you like. 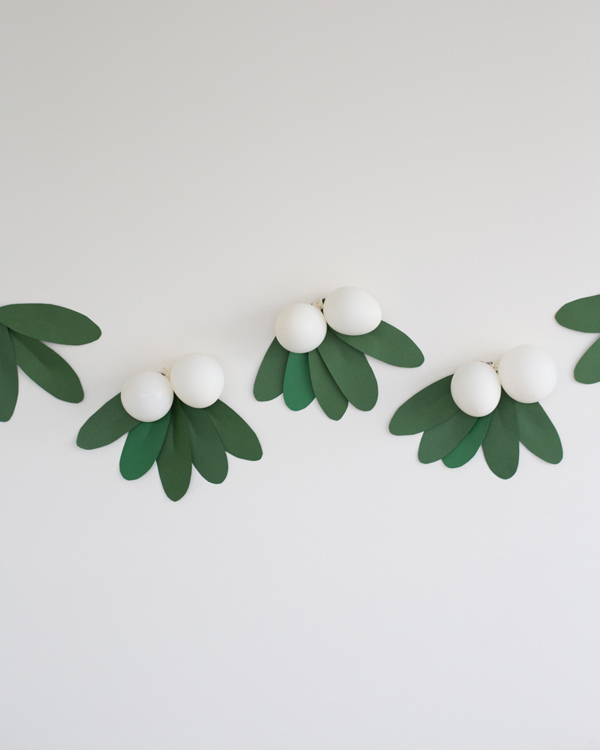 Stick the spare leaves in sets of two or three around the mistletoe for a holiday display that will inspire all types of interaction.